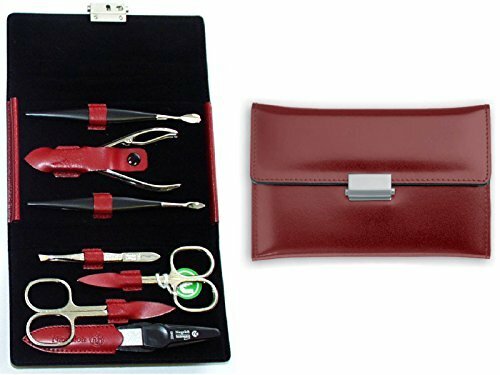 Highest Quality Nail Instruments Manicure Set for Women in Red Leather Case;7 Piece Manicure and Pedicure Tools are Made in Solingen Germany;Ultra sharp manicure scissors and implements are made of high carbon with nickel plating;Comes in a Niegeloh Solingen White Gift Box - Making it a gift ready item;Beautiful Leather Case and instruments are made to last and impress. If you have any questions about this product by Zamberg, contact us by completing and submitting the form below. If you are looking for a specif part number, please include it with your message.